M/V Coastal Queen courtesy of Northrop & Johnson. M/V Coastal Queen with helipad courtesy of Northrop & Johnson. Photo of Belize by Lisa Overing. 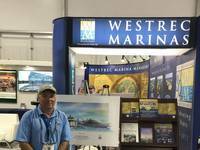 Palm Beach Boat Show by Lisa Overing. 375 Nomad courtesy of Intrepid. 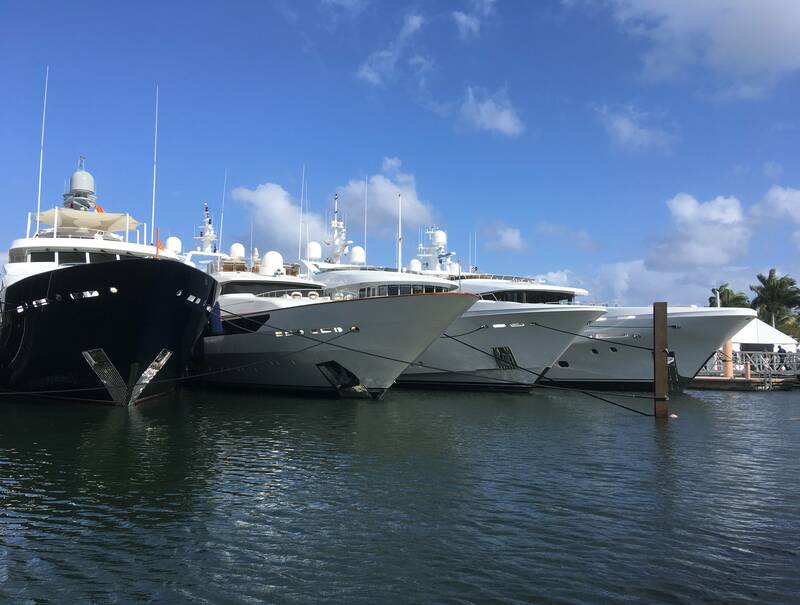 As 700 boat horns blared at 6PM ending the largest Palm Beach International Boat Show ever, this marine journalist's real labor had just begun: choosing which outstanding vessel would be featured in Yachting Journal as belles of the ball. 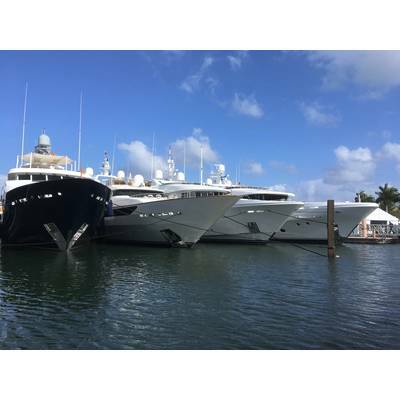 After boarding so many wonderful boats, it is difficult to pick only a few to feature. 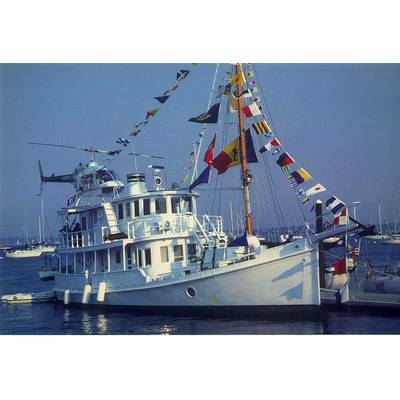 Many shipyards have built classic cruisers, throwbacks to an earlier time, capturing the hearts of yachting aficionados. 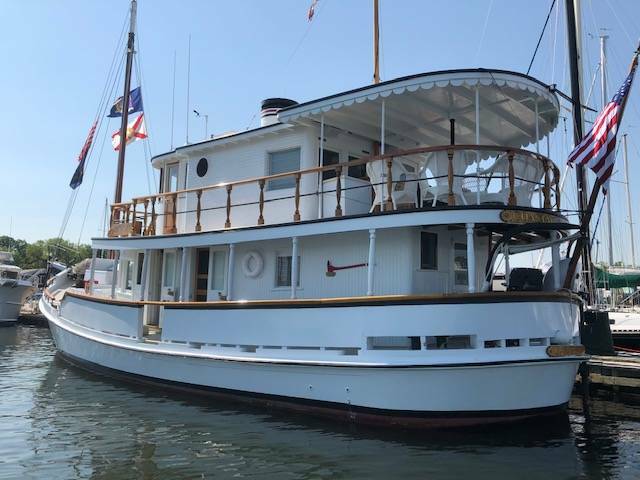 If Burger’s Sycara or Kanter’s Bread presses your buttons, you’ll appreciate the vintage boat that commanded this author's attention during every stroll past Northrop & Johnson’s display, so much so I daydreamed about being a stowaway on board. 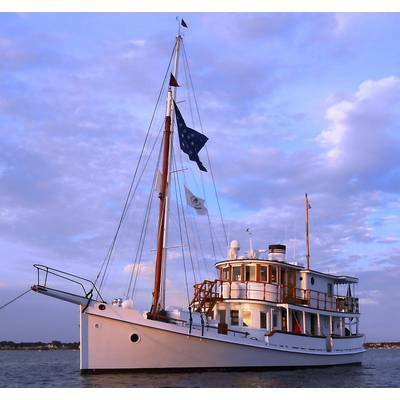 Anachronistic doesn’t begin to describe the charm and panache of M/V Coastal Queen, a 72-foot buy boat built by A.V. Price at Chesapeake Custom in Maryland in 1928. Coastal Queen offers a bridge deck master, VIP suite on main deck and a third en-suite guest stateroom below, plus crew. While she’s been repowered and updated with modern electronics and navigational equipment, her throttle control wires for the engine and the gear/transmission are visible in the wheelhouse. 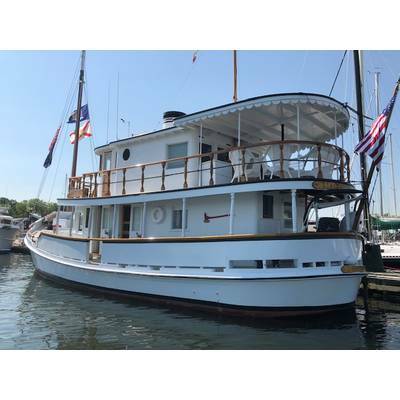 Her primary steering is via quadrant on the 1-inch steel rudder stock, with 1/4-inch stainless steel cable through bronze shieves to the chain and sprocket at the wheel. 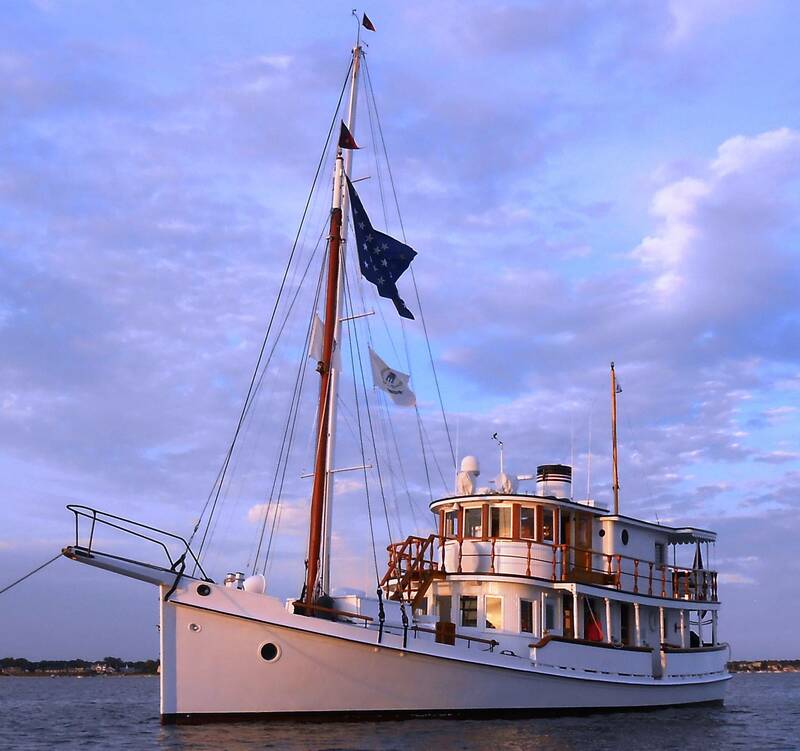 The hull is constructed as a carvel hull with a cross-planked bottom, hard chine, plumb setters and elliptical stern. 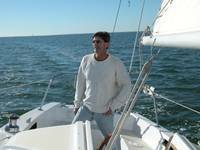 A wooden boat constructed of southern yellow pine side frames where the side planks run fore and aft with bottom planking applied transversely, the stem, inner stem and keel are yellow pine with the cross planked bottom fastened with stainless steel carriage bolts. With wooden bulwarks around the perimeter of the main deck, one dog house on the foredeck provides access to the forward cabin and crew’s quarters. The upper deck is fitted with mahogany stanchions and varnished mahogany top rail with a mid silicon bronze rail. The brightwork on Coastal Queen is luscious. 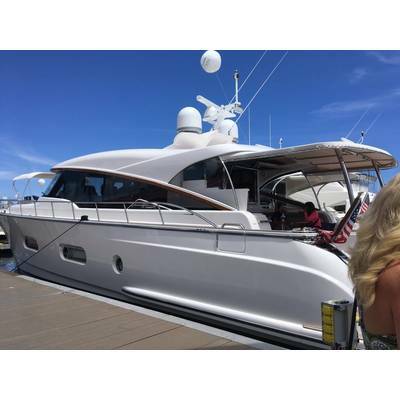 While she lists for $495,000, upkeep and impeccable maintenance is a labor of love deserved by this queen. Moving full speed ahead to the current millennium, time spent oggling newcomer Belize’s first hull from the Gosling tent beckoned a serious look, as well. 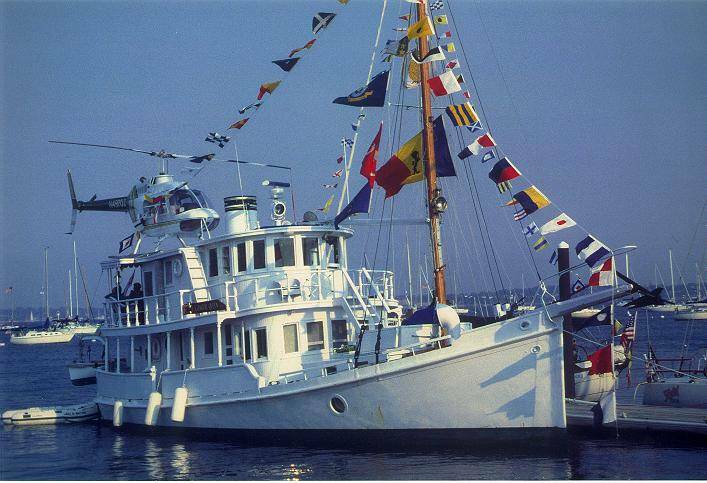 At 66-feet, she is designed by Riviera in Australia but was built in Taiwan on spec. If boats bred offspring, Belize’s parents might be an express yacht and a lobster boat. Somehow, this totally works to make a beautiful, spacious vessel with great lines that’s perfect for indoor and outdoor entertaining. The sole and bulkheads are teak and holly throughout with a little walnut mixed into the interior. 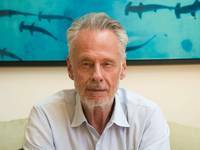 With a neutral decor and a modular three to four stateroom layout, soft goods and the timber choices can be modified for a versatile, semi custom interior running about $3.15 million. 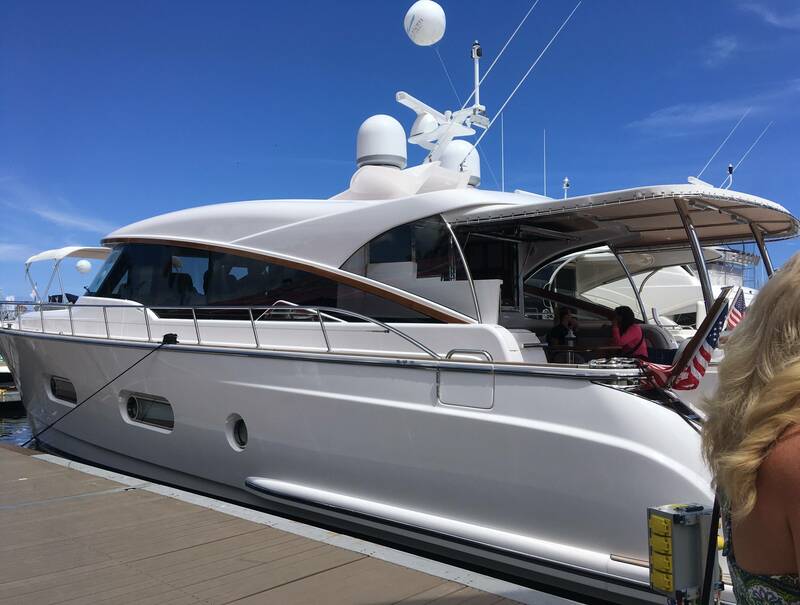 Nice touches include a walkaround helm with a sunroof over the helm for tremendous views. 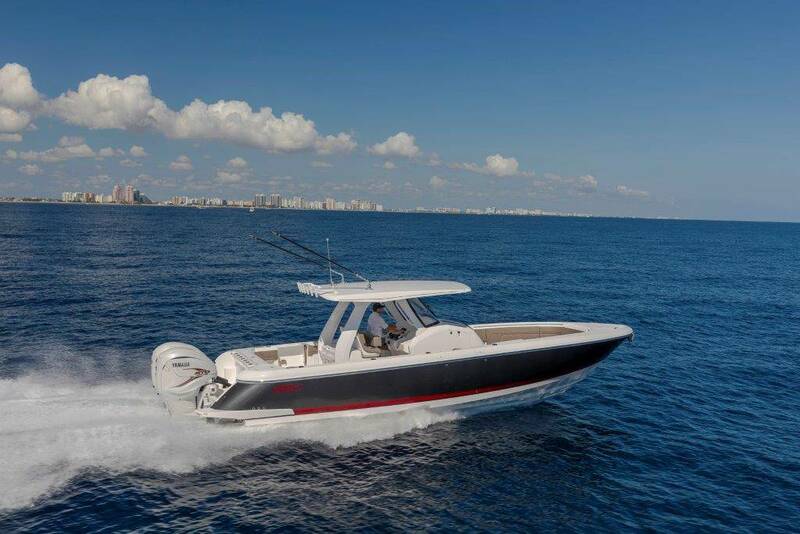 Intrepid's 375 Nomad is making waves with cruisers, not just anglers, as a new lifestyle boat for 2019 suitable for diving, lounging and entertaining. 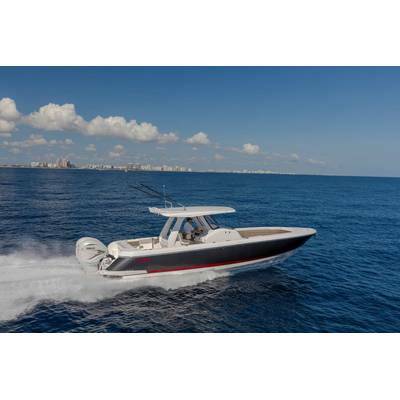 Her many options include t-tops in aluminum and fiberglass with integrated, folding rear bench seats that are also removable, a transom shower and a ski tow bar. Nomad starts at $440,000 and Intrepid has expanded with a sales office in Palm Beach.